Two vounteer firefighters attempted to block firefighters from another station from entering a burning building first, officials say. While responding to a fire at this home in Hyattsville, two volunteer firefighters tried to prevent members of another station from entering the building first, according to officials. The men are now facing charges. Two Maryland volunteer firefighters accused of fighting with a female firefighter from another station over who would enter a burning building first were indicted Tuesday, officials said. Jeffry Miller and Chris Kelly of Volunteer Company 28 face multiple charges, including second-degree assault and interfering with a firefighter in the performance of their duties, according to the Prince George's County Office of the State’s Attorney. The apparent turf battle took place in December 2015, when two different firefighting units arrived at the scene of a fire in Hyattsville, according to the state's attorney. A unit of career firefighters, Career Company 30, arrived at the blaze first. While members of the career company were putting on their gear, Volunteer Company 28 also arrived. Before putting his gear on, Chris Kelly, a member of Volunteer Company 28, allegedly tried to prevent members of the career unit from being the first to enter the building by blocking the door, according to the state's attorney. A female firefighter from the career unit approached Kelly and tried to enter the building. The two struggled, and Kelly hit the career firefighter, knocking her off the porch, according to the state's attorney. Miller went to Kelly's aid, the state's attorney said. When the career firefighter got up and tried to enter the building again, Miller grabbed her and pulled her off the porch, the state's attorney said. The members of the two units were separated and police were called. News4 reported last December that a second female career firefighter reported being shoved while running a hose into the home, though Tuesday’s indictments only reflect the assault of one of the women from the career station. Mark Brady of Prince George’s County Fire and EMS told News4’s Darcy Spencer last December that he did not think firefighters lost significant time in battling the blaze because of the fight. “There was a momentary delay, however we do not feel that impacted the amount of fire loss to that house,” Brady said. Prince George’s County State’s Attorney Angela Alsobrooks criticized Miller and Kelly’s behavior Tuesday. “Mr. Kelly and Mr. Miller were fighting with a career Fire/EMS unit over who should be the first to go into a fire instead of remembering that their main responsibility was to help anyone in need and extinguish the fire, not argue over who goes inside first,” Alsobrooks said in a statement. “Their actions were reckless, irresponsible and uncalled for,” she said. 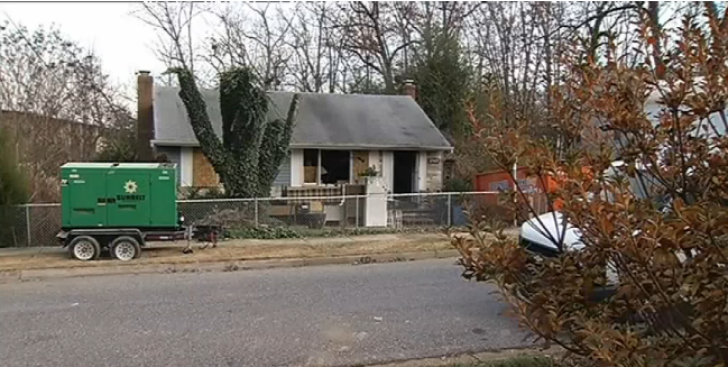 The Prince George’s County Fire and EMS Department said they are cooperating with the investigation. “We regret the shadow cast upon our department by this unfortunate incident and are committed to continue providing the highest caliber of fire and emergency medical services to the residents of Prince George’s County,” the department said in a statement. The department also said it placed Miller and Kelly in administrative roles after the fight, which and will continue until the case is resolved.